With Valentines Day sneaking up on us, we should all be able to feel love in the air but if you're throwing a Valentines Day party, you may be feeling stress instead. Whether your guests are children, adults, or both, we have put together some of our favorite party ideas that will wow everyone. Is there anything cuter than heart shaped food for Valentines Day? Everyone is aware of the classic heart shaped pizza but you can make a lot of other foods heart shaped too. Another bonus is that it doesn't take long to do but it has big results which makes it perfect for busy parents! 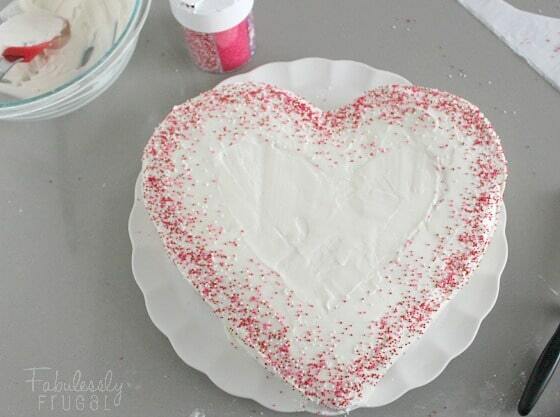 To make a heart shaped cake, pour the batter into one square pan and one round pan. After the cakes are done baking, cut the round cake in half. Arrange the square cake so it is a diamond shape (one of the corners should be facing you). Place the halves of the circle on the two top edges of the diamond. Voilá! You now have a heart shaped cake. You can check out Fabulessly Frugal's cake tutorial here! In addition to a heart shaped cake, pink cotton candy, cookies, and strawberries are great food ideas. Whether you're throwing a party for children or adults, everyone loves a good game of tic-tac-toe. Using foil balloons for the X's and O's adds a unique spin on the classic game. It is also more interactive for kids. To get this look, pick up some foil balloons from your local dollar store, and use washi tape to make the table on a wall. If you are unable to find the foil balloons, you could make X's and O's with colored cardstock paper. Oh Happy Day did a great tutorial with foil balloons which you can check out here. With a little creativity, you can make unique Valentines Day decor that will make your event even more lovable - at a low cost! Streamers and tissue paper are your new best friends so stock up on the two items at your local dollar store and go crazy! Layer up streamers and cut half-way up for a 'fringe' look, twirl them to combine colors, or create oversized flowers with the tissue paper. If you're looking to get the conversation started, use conversation hearts. Not only are they inexpensive, after the party you have an extra snack handy while you clean up! Sprinkle the hearts on the tables, or fill jars with them to use as centerpieces. Capture the fun with a photo booth! If you want to add even more love to your party, you should consider renting a photo booth! The customization options are endless with TapSnap. 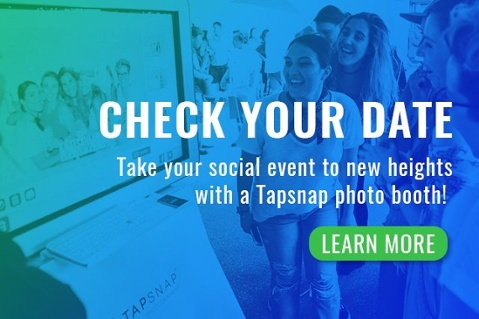 Whether you want cupid shooting arrows in your photo, falling hearts, or personalized digital props, TapSnap can bring your Valentines Day dreams to life. If you're interested in TapSnap and want to learn more about what we do, you can find out more on our How it Works page! Also, be sure to check your date below!